You can use a fresh coat of paint to bring new life to an old basement, an exterior masonry wall, brick, or even a garage floor. With proper preparation, painting surfaces like these can be simple, and the end result will be worth the effort. As with most painting projects, preparation is the biggest key to your success. If at all possible, p ower wash the surface first. This is the fastest and easiest way to remove old paint and any debris that will interfere with new paint. Use the power washer with some bleach or mildewcide if there is mold or algae present. However, you may be working inside, or in a place where the mess of a power washer isn't appropriate. If that’s the case, tackle cleaning with a scraper and a wire brush instead. After all of the loose paint and debris has been removed, make sure that the substrate is clean. Any oil or grease on the masonry surface will bleed through the paint, causing discoloration, and possibly interfering with the longevity of the paint job. Use tri-sodium phosphate, also simply known as TSP, to clean the concrete surface before applying any product. Put on safety goggles, gloves, and a face mask; then, mix your TSP cleaner in a bucket according to the manufacturer’s instructions and scrub it onto the surface with a scrub brush to remove any grease or oil and ensure that your paint will stick well. I f you have any defects in the surface to repair, use a simple, ready-mix concrete patch to fix them after you clean. Refer to the manufacturer's recommendations when trying to assess how long the patch should dry before being painted. When choosing your paint, the most important thing to keep in mind is location. Where is the paint going to be applied? When you’ll want to use interior over exterior paint—or vice versa—is fairly self-explanatory. Many manufacturers actually do make specific masonry paints, and some are even designated as floor paints, so you shouldn't have a hard time finding what you need if you pay attention. There are also additives for your floor paint that can give it some texture or grip. This material is inexpensive and doesn't change the color but does prevent the slips that can occur when wet feet hit a slippery floor. Some kits also come with decorative chips that are added as the paint is applied. If you are using an oil-based paint and primer, you will need mineral spirits or paint thinner to clean your brushes, and most likely yourself. Almost any masonry surface needs to be both sealed and primed before the paint is applied. The sealer is often clear, but keeps moisture from coming through the concrete. This is especially true in basements, which tend to hold moisture anyway. If you are not sure whether your basement has been sealed or not, tape all four sides of a square of plastic kitchen wrap onto the floor and leave it for 24 hours. If the floor hasn't been sealed, you will see condensed water between the plastic wrap and the floor that has evaporated up through the concrete. Check with a paint store or your local home improvement store’s paint department when selecting your products. Buy a quality masonry sealer and a primer that complements it. Use the two-step process of sealing and priming to build a strong, water-resistant foundation for your paint. After your sealer and primer coats are completely dry, apply the paint. Use a paint brush to do detail work such as around windows and trim or baseboards. 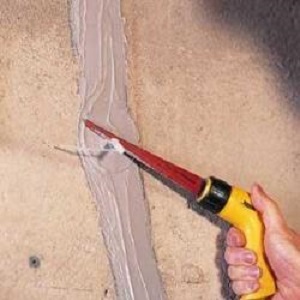 You also need a brush for cutting in along the walls when painting a floor. A roller can be used to do the bulk of the painting, but make sure to read the manufacturer's recommendations as to what size nap to use. At least 3/4-inch or one-inch nap is recommended. Buy at least three roller covers, one each for the sealer, primer, and paint. Apply several thin coats, rather than trying to apply one very thick coat, as paint actually forms a harder surface when thin coats are laid on top of each other. One thick coat often results in a gummy or soft surface. Allow each coat to dry thoroughly; this is often called “curing.” It means that the paint has dried through all the layers down to the original surface. Paint dries to different thicknesses, or “mils,” depending on its sheen and makeup. The thicker the mil of the paint, the longer this process can take. 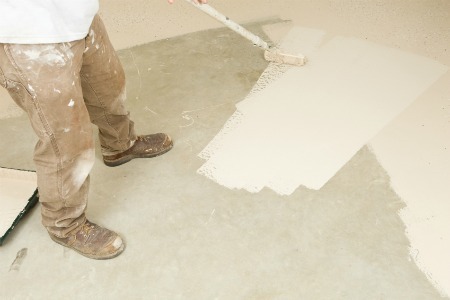 Paint applied to floors or walls in basements may have a longer curing cycle. After your final coat of paint is applied, allow the paint to cure for the recommended time. If the paint is on the floor and you don't let it dry long enough, it may dry with footprints that will never go away. Painting a masonry or concrete surface, be it walls or floors, inside or out, can give new life to your home. A space that may once have been dank and dirty can now be bright and clean. You can actually increase the amount of livable space you have just by adding some paint. There are many uses for precast concrete fences and walls. Precast Concrete Fences and Walls are an excellent choice for perimeter walls. They not only mark the boundaries of your property in a neat and aesthetically pleasing way, but also add value to your property. 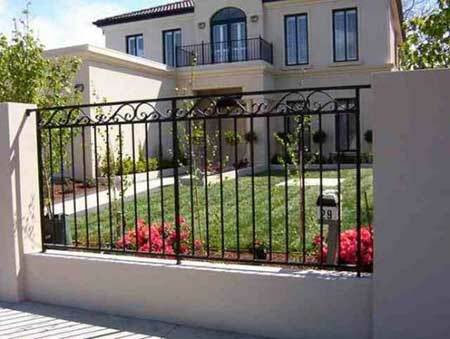 Precast Fences and Walls add security to your property as well as offering a screen to maintain your privacy. The only thing to avoid, is giving intruders a place to hide if they should breach your property. Small children and pets can be kept safe in your yard, and will be prevented from wandering out and getting lost or end up on a road amid traffic. 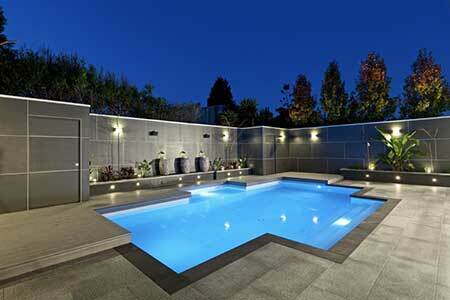 Swimming pools can be cordoned off to prevent accidents, especially if you have small children. The uses of Precast Fences and Walls are widespread and a useful contribution to any property, as they can also act as windbreaks or serve as a retaining wall on steeply graded plots of land. With all these advantages in mind, it would be a very wise decision to erect Precast Walls and Fences around your property. It will probably be the best decision you have every made. Please feel free to contact us today to discuss your requirements or to request a free quotation. We are often asked whether precast concrete palisade fencing can withstand harsh climate conditions. As our concrete precast and concrete palisade fencing consists of professionally engineered, precision-manufactured, steel-reinforced modular concrete components that interlock during the installation process. They are wind and earthquake resistant, fireproof, insect and rustproof, and won’t rot, fade, warp or become mouldy over time. The precast concrete palisade fencing will not be knocked down by strong wind as a wooden fence would be, and can withstand the harshest storm. 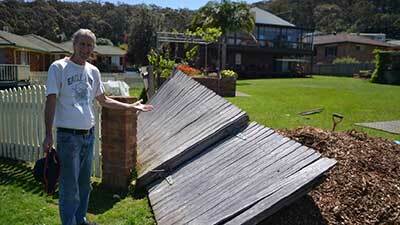 If you live in an area where the storms are pretty harsh, rest assured, your fencing will withstand the harshest weather conditions. 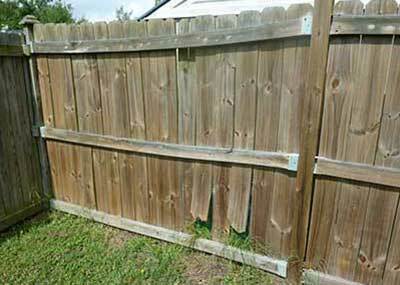 As our fencing can be quickly repaired, without the need for heavy equipment and high labour bills, through our simple component replacement process, you save money should there be any damage at any time. As a Company, our chief goal is to exceed your expectations, and we therefore have very satisfied and happy customers. Why not contact us today to discuss your requirements, for a free quotation, or for more information on our products. Our consultants will be happy to help and advise you. 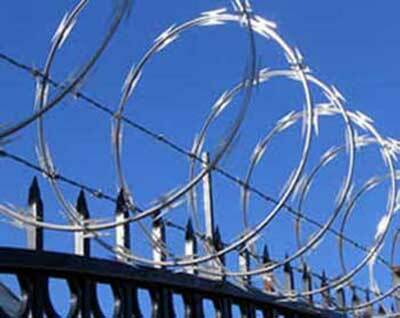 Having a perimeter wall or fence in South Africa is a great way to prevent crime in residential areas. 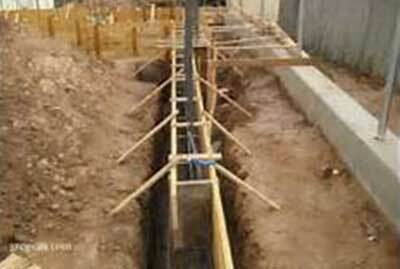 It is very wise to choose to install a concrete wall or fence as your first line of defence against criminals. Concrete Palisade is a really good option, as criminals cannot easily hide behind the fence, and can be easily seen when they try to breach your property. 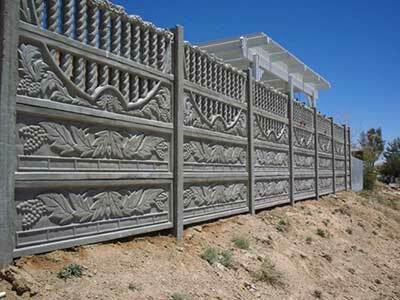 Concrete Palisade can be topped with Electric fencing or Razor Wire to give added protection, and making it so much less appealing to would be intruders. A good idea is to never grow shrubs or high plants at the front of the palisades as it gives criminals a place to hide in order to breach your property unseen. Never plant trees close to your fencing, as criminals can easily use their overhanging branches to get over your boundary and onto your property. Have nothing close to the fencing, dustbins, drums, etc., that way you are not making it easy for potential criminals, and will be more difficult for them to intrude. Crown of Thorns is, however, a good plant to use, should you wish to do so, as it has thorns nobody wishes to mess with. A rambling rose bush can also be used should you really want shrubbery, it has thorns but also gives you pretty roses. • It is much cheaper than for instance brick walls. As concrete is very heavy and has no scrap value, it has no appeal to thieves. If you choose to have Concrete Palisade Fencing around your property, it is a good idea to have a concrete base laid to rule out the possibility of anyone gaining access by digging underneath the fencing. A good alternative is to have the palisade fitted on top of a concrete or brick wall. With all the options available to you, we, at Country Wide Walling, will gladly assist and advise you on what your best option for your property should be. If you would like to discuss your options, or would like a free quotation, please feel free to contact us. Aren’t Precast Concrete Walls Unattractive? If you want something other than plain, and very low-cost, you can choose a decorative design which will give an aesthetically appealing look to your property and also enhance the value. There are many options to choose from as far as precast concrete walls are concerned. There are many designs and combinations to choose from at Country Wide Walling, and our consultants will gladly assist and advise you. 1. Precast can be coloured to your choice during the manufacturing process to ensure you have a pleasing wall to enhance your property and match your style. 2. 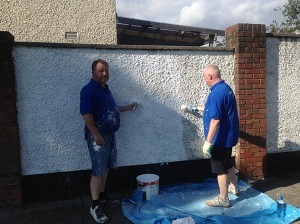 The colour will also not fade, saving you time and money on regular repainting of the existing walls. 3. Precast Concrete Walls can be used as perimeter fencing of your property, and is a neat and aesthetically pleasing way to enhance your property. 4. It can be used as a screen to maintain your privacy. 5. Precast Concrete Walling will keep small children and pets from wandering out into the streets, thus ensuring their safety at home. 6. It can be used as insulation against noise. 7. It is a good option to act as a windbreak. Precast Concrete Walling will not rust or bend and warp, nor will is crack or rot like a wooden fence does. The design you choose or the colour you choose will not fade with time, therefore you are investing in a good, quality and long lasting asset to your property. Whether aesthetic appeal or security is your main objective, you will be delighted with what we have to offer at Country Wide Walling. Our aim and objective is to meet and surpass any expectations our clients have, and we have the experience and know-how to produce what our clients expect and want. Contact us today for a free quotation, or to discuss your requirements with one of our expert consultants. It is the best decision you can make for your family and property.